SCAIR's JOB AND SCHOOL READINESS DAY assisted needy San Diego Native American urban and reservation families with a special day at the beauty parlor. 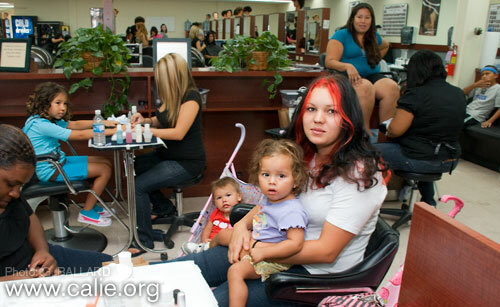 A young urban Indian mother is pictured with her two young children at a large beauty college receiving a pedicure and enjoying the community atmosphere with a group of fellow tribal TANF families. A little pampering is nice. A little tenderness is healing. The result is a lot of happy smiles and beauty all around us. Je Boutique College of Beauty provided makeovers, haircuts, manicures, pedicures for over 20 of our Temporary Assistance for Needy Families, TANF, participants: female, male and children. Lotions, nail polish and styling all add to the American Indian participants’ confidence and self-esteem. This will help the job seeking efforts of the TANF program participants. If you look good and feel good you are more likely to do good in the interview and get that job. 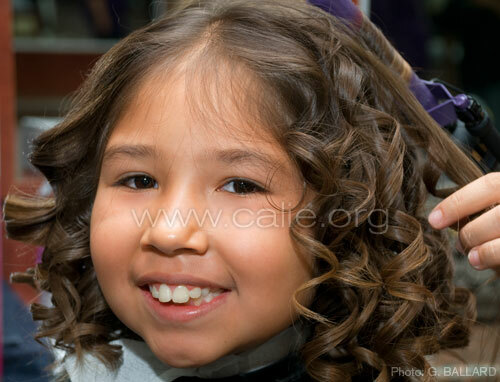 A young Native American school girl recieved a fancy new hair cut and style, in addition to a professional manicure and fresh nail polish. The young Indian girl shows off her new nail paintings while she lets them dry. 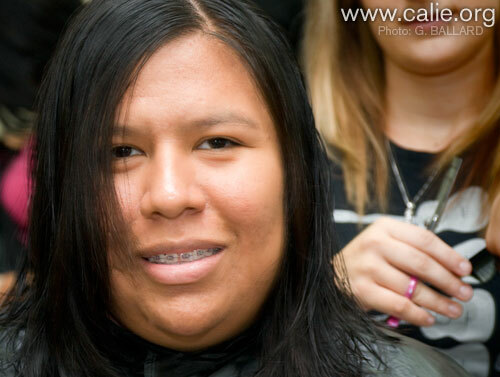 A young California Indian mother received a professional haircut and styling during the TANF event. A young urban Indian girl also received a professional hair cut and pink nail polish. 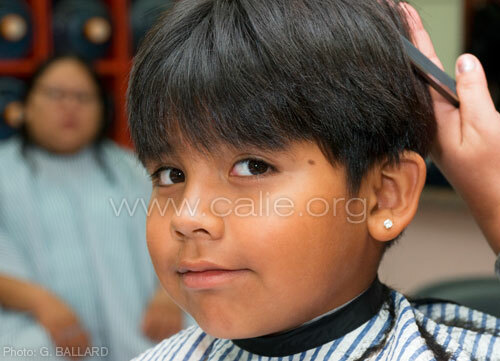 A young Native American boy received a professional hair cut in preparation for back to school. Oh, that feel good! — A professional manicurist rubs lotion into a young Indian mother's hands during a manicure. Some of the participating stylist pose for a picture with a Native American family — this picture of the cosmetologists and our Indian families sums up the reaction and results of this special day. SPECIAL THANKS to Je Boutique College of Beauty, 1073 East Main Street, El Cajon, CA 92021, to book appointments with the beauty college call 619-442-3407.